As being one of the leading and renowned quality suppliers of LED Luminaries, we offer the highest quality oriented LED Panel Light-Slim. This product is equipped with a diffuser, that distributes light uniformly at optimum level of area coverage. It provides highest level of brightness with lowest power consumption with out any kind of glare. In addition to body is made up of Industrial grade Aluminium die cast material to dissipate excess heat, which ensures longer life span of end product. Offices, Conference rooms, Corridors, Galleries, Residential premises, Show rooms, Shopping malls, Parking areas and almost all the Indoor areas. As being one of the leading and renowned quality suppliers of LED Luminaries, we offer the highest quality oriented LED Panel Light-Slim having Light dimming features to customise the lighting requirement. 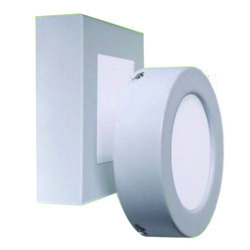 This product is equipped with a diffuser, that distributes light uniformly at optimum level of area coverage. It provides highest level of brightness with lowest power consumption with out any kind of glare. In addition to, body is made up of Industrial grade Aluminium die cast material to dissipate excess heat, which ensures longer life span of end product. 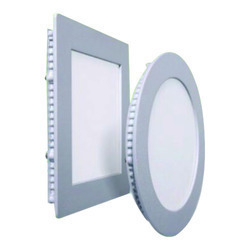 As being one of the leading and renowned quality suppliers of LED Luminaries, we offer the highest quality oriented LED Panel Light-Surface having Light dimming features to customise the lighting requirement. - Hotels, Hospitals and other indoor Architectural theme based lighting Applications.